Transform the look and feel of your room with the introduction of rooflights. Lighting is vital in your home, and although you can add artificial fixtures, nothing quite compares to the open space and bright, natural light that rooflights can give. What’s more, our eco-friendly range can save you money and ensure you’re doing your bit for the environment. Let’s find out more. Our triple-glazed, Krypton-filled rooflights are the front runner in energy-efficient rooflight technology. Krypton is a gas that’s injected into the glass to maximise its efficiency and this, coupled with our innovative triple glazing, makes our rooflights leaders in eco design. The innovative Krypton gas improves this range of rooflights to an overall ‘U’ value for efficiency; the lower the ‘U’ rating, the better. Our rooflights come with the lowest value at 0.87 W/m2K (watts per square metre, per degree Kelvin). 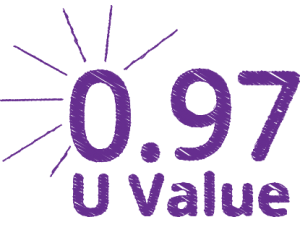 The importance of this value depends on the climate and how your building is designed, but don’t worry – with every rooflight, we provide an energy rating; known as the U Value. Want to know more about U Values? Head over to our blog where we explain what these mean and how they are calculated. Energy efficiency is a hot topic in many households, and rightly so, as since 1970, the energy usage in UK homes has increased by 25%. That said, all is not lost, as many methods can be introduced to decrease the amount of energy consumed. Eco-friendly rooflights are one way to reduce your outgoings as the advanced design not only reduces energy waste and consumption, but also saves you money on your energy bills. With coated, tempered glass as standard, our rooflights provide a safer and more effective option. With super thermal efficiency from its triple-glazed unit, you get a higher insulation standard with our eco option – perfect for reducing those bills and keeping your home warmer through winter. Eco-friendly rooflights are remarkably designed. Created with a high-end look and premium performance but an affordable price tag, these rooflights make a real style statement in any space. Complete with silk banding around the internal pane to reduce UV rays and with tried and tested sound insulation, you can enjoy some peace and quiet whilst admiring the beautiful and unique look your new rooflights create in your home. Add them to south-facing rooms to flood the space with light or install them in a north-facing room to illuminate darker areas. These designs are also handy in rooms that require light but require more privacy, such as a bathroom. Available in a variety of styles and sizes, you’re sure to find the perfect design to suit your home. Not to mention that these architectural additions can revolutionise the way you use a room, offering the illusion of height and space in an area of any size. The size of your skylight will have an impact on the brightness and temperature of your home, so choose wisely when installing your new fixtures. Consider all seasons when picking which size is right for you, as bigger isn’t always better with rooflights. Fully bespoke options are also available, designed to the highest specifications for your home. Our prices for eco rooflights range from £1,199 to £1,999 excluding VAT and can be delivered nationwide in 5-6 weeks. We have a wide choice of sizes, too – 800 x 800, 1000 x 1000, 1000 x 1500 and 1000 x 2000. Looking to increase the energy efficiency in your home? Contact EOS Rooflights today for more information on our eco-friendly rooflights range. If your home has EOS Rooflights installed, we want to hear from you. We’d love to see how our rooflights are looking in your home so send in your pictures to become part of our exciting photo gallery. 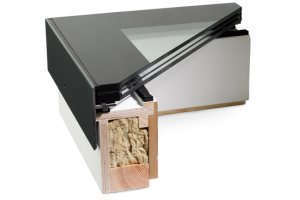 We hold a range of sizes for he Eco triple glazed rooflights click below to see price. Our stock rooflights are ready to be delivered nationwide in 2-5 days.